Memory on Trial: Media, Citizenship and Social Justice. Edited by Anders Høg Hansen, Oscar Hemer, and Thomas Tufte. Published by Lit Verlag, 2015. In the early months of the Nigerian Civil War, federal troops made an unprovoked attack on the civilian population of Asaba. Hundreds were killed. The massacre went largely unreported in the press and has received minimal attention in civil war histories. But, the people of Asaba have remembered. They are now trying to re-inscribe their story into the official collective memory of Nigeria. 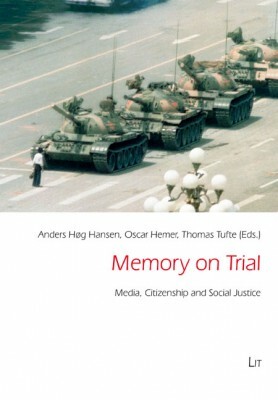 Memory on Trial: Media, Citizenship and Social Justice is a new book about how we use stories of the past to shape the future. Governments, NGOs, major archives and monument builders – they are all constantly engaged in activities of retrospection, imagination and reinterpretation. They try to mediate and give authority to particular stories, while others are suppressed. The potentiality of citizen engagement around social justice is of importance in societal debates concerning what, how and for whom we remember, not least in transitional processes of attempted healing and reconciliation after incidents of massacres or mass-violence. Such traumatic events are most often concealed, and witnesses silenced or ignored, either to preserve impunity for the perpetrators, or for the sake of “moving on.” Yet telling the story in all its horrific detail may be a prerequisite for true reconciliation. Whether formally, through truth commissions and memorials, or informally, through grassroots initiatives or artistic interventions, memories of collective trauma need to be constructed and maintained, in order for a society to acknowledge and possibly come to terms with appalling and shameful parts of its history. The story of how the people of Asaba try to make their history heard is discussed in one of the chapters of this book, which contains theoretical as well as case-study contributions. The common denominator for these theoretical and empirical explorations is to demonstrate how ‘living memory’ work can be crucial for citizens to move forward as plural collectives (or counter collectives) and create or revitalize publics that engage in social justice debates and change processes. In relation to the Living Archives project, the final chapter explores a recent attempt to archive, and make publicly visible on the Internet, a productive historical era of popular folk-song writing in the city of Malmö. While introducing a local cultural association’s now over 500 song lyrics archive (Project Malmö Folk Song), the chapter concentrates on an analysis of a selection of songs from the archive and their portrayal of one of the oldest public parks in the world, Folkets Park (People’s Park) in Malmö. It questions how the park is represented as a place for different forms of public memory and citizen activity, socially and politically. The chapter also engages with the project’s various means of preserving and revitalizing a musical heritage as a ‘living archive’. 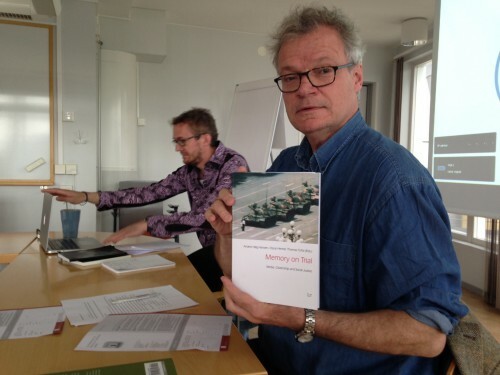 Book seminar with Oscar Hemer and Anders Høg Hansen, editors. Photo: Tobias Denskus.